Anyway, you have to check out these adorable cupcake toppers Glory made for her pastor. I'll definitely be making some for an upcoming party that I throw... or just for fun! 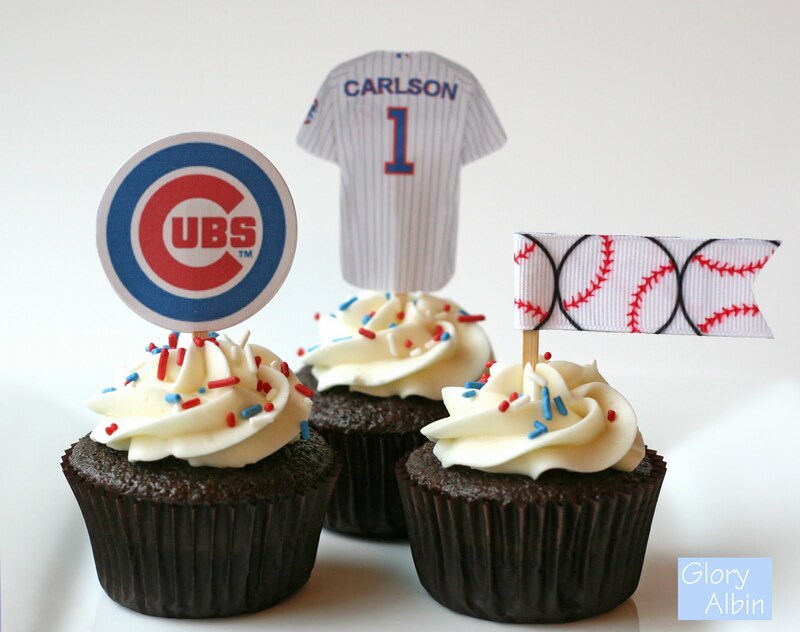 I'll actually be making MINNESOTA TWINS toppers rather than the Cubs toppers she made! If you're interested in finding out how she made them, click here! Thanks for the post Cammi. I never mind as long as you clearly link back to me (like you did). Only slight change if you can, my name is Glory (not Gloria). 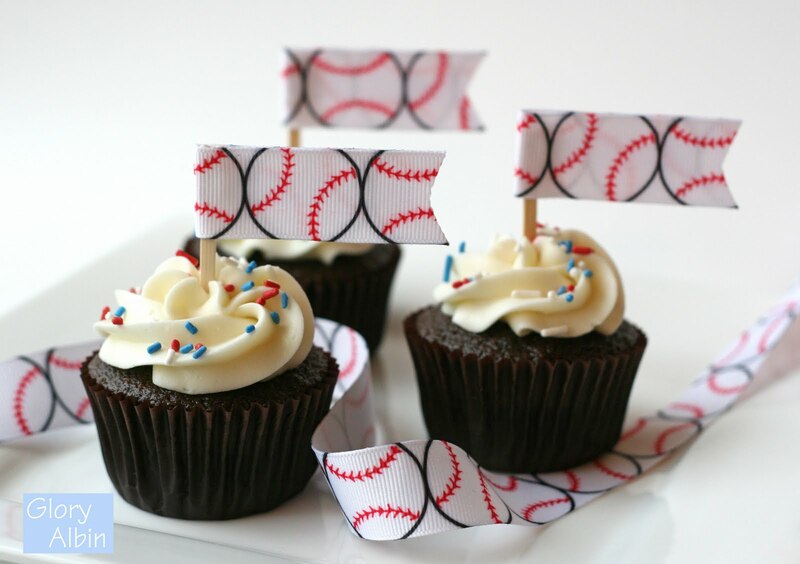 Send me a link if you make some of your own cupcakes off of this idea, I'd love to see them! Love these too! Ours would be for the SF Giants...I can't wait to check out Glory's site. If you are in the Twin Cities area and looking for assistance planning your next event - contact Cammi Lee Events today! Become a fan of Cammi Lee Events on Facebook! Follow Cammi Lee Events on Twitter! Enjoy what you see?? Follow our blog! Giveaway sponsored by CSN Stores! I'm back! And with a GIVEAWAY! I FINALLY have a BLOG BUTTON! This Party's a Grand Slam!